East student-athletes Joe Perry and Alexis Whatcott. 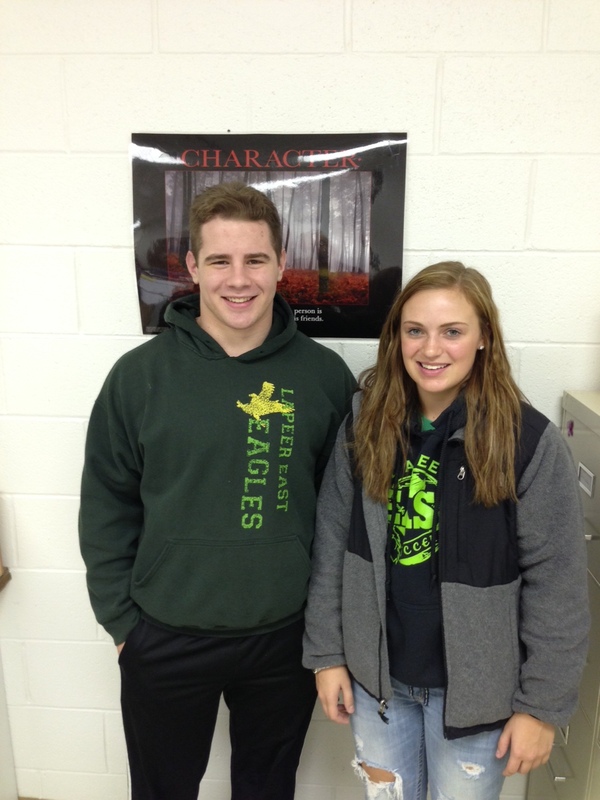 Congratulations are in order for Lapeer East student-athletes Joe Perry and Alexis Whatcott for being named the December and January ELGA Credit Union Athletes of the Month. Their names have been added to the beautiful ELGA Credit Union plague that is displayed in the Athletic Showcase in the main hallway at East near the athletic offices. Both students will now be eligible for a $500 scholarship given to the Athlete of the Year from ELGA Credit Union. Congrats to both Joe and Alexis on being such exemplary role models and student-athletes!